Russia and Turkey are currently at the final stage of negotiations on the delivery of the Russian-made S-400 missile defense system to Ankara. According to Turkish security expert Abdullah Ağar, the deal indicates a major shift in Turkey’s policy. Turkish President Recep Tayyip Erdogan said Monday that there is no reason for Washington to be concerned over the Ankara-Moscow talks on the delivery of the S-400 system. "Why should this be a concern? Each country should take certain measures to ensure its security. How many times have we talked with America, but it did not work out, so like it or not, we began to make plans about the S-400," Erdogan said at a press conference in Ankara. The United States recently signaled that Turkey buying the S-400 from Russia would become a major concern for Washington. Earlier, Pentagon chief James Mattis said that the possible deal raises questions about the technical and operational compatibility of the S-400 with NATO’s standards and Turkey would have to explain for itself the choice of the Russian-made weapon. According to Turkish defense and security expert Abdullah Ağar, the reason behind the concerns of the US is more than the possible S-400 deal and relates to Turkey’s resoluteness to oppose plans that would "threaten Ankara’s territorial integrity." "The situation in the region has significantly changed. As for the last three years, Turkey has come to know the threats it faced as well as the actions of its Western partners in this situation. On the one hand, the West works with the Kurdistan Workers’ Party (PKK) and its affiliates in Syria and Iraq. On the other hand, the US and other Western countries support the Gülen movement [FETÖ, designed by Ankara as a terrorist organization] which poses a serious threat to Turkey," Ağar told Sputnik Turkey. According to the expert, since the invasion of Iraq in 2003, the West has been implementing a "plan to re-draw the Middle East map," which resulted in a growing terrorist threat near Turkey’s border, including the rise of Daesh. 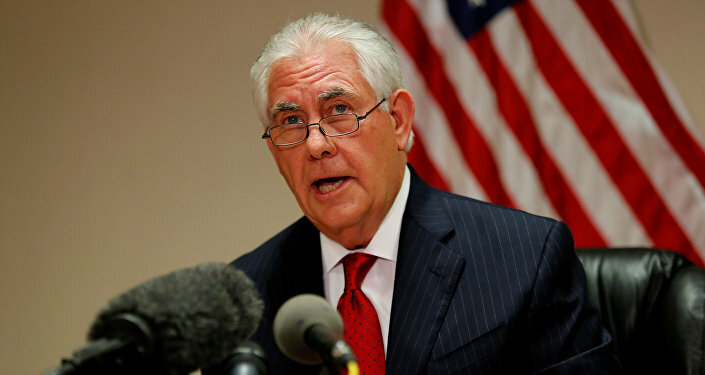 Tillerson Says US-Turkey Ties ‘On the Mend’ - State Dept. "Such a policy may result in new foreign invasions in the region. Turkey needs a new approach to oppose this policy. The delivery of the S-400 is part of a big puzzle," Ağar pointed out. At the same time, the situation should not be reduced to arms contracts and should be taken in its connection to shifts in the global geopolitical balance of power. "There is a trend that may result in a [global power shift] from the US and Europe towards Asia. The West knows it, but continues to support organizations that pose a threat for Turkey. At the same time, the West doesn’t want to lose Turkey. In such a situation, Turkey is looking for the solution to this puzzle," the expert said. Ağar also said that the West is losing Ankara’s credibility due to its policy of supporting groups that want to "tear Turkey apart." "Of course, Turkey will not stay bound hand and foot. Otherwise, the country will found itself in a big trouble in the future. There is no special reason for Ankara to give credibility to West’s promises," the expert said. Furthermore, Ağar underscored that Ankara was not allowed to deploy US-made Patriot missile defense systems and as a result Ankara decided to focus on cooperation with Russia. "The S-400 [deal] is part of a bigger picture of [Russia-Turkey] bilateral cooperation in various fields, primarily energy and security. The supplies of the S-400 are a sign that Turkey is drifting away from the Western world," the expert concluded. The negotiations on the matter between Russia and Turkey have taken place since 2016. In March, Sergei Chemezov, CEO of Russia’s Rostec Corporation, said Ankara was ready to buy the S-400 systems with a loan granted by Moscow. 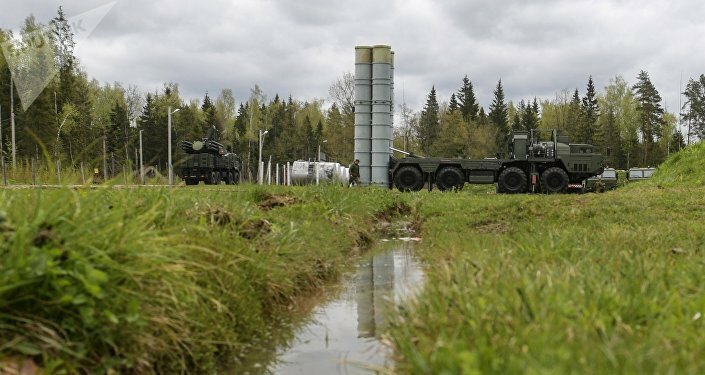 On July 18, Chemezov said technical issues of the contract for the supply of the S-400 systems to Turkey had been resolved, with only administrative ones remaining. As of today, Russia has a deal on supplying the system only with China. In addition to Turkey, talks are also underway with India.